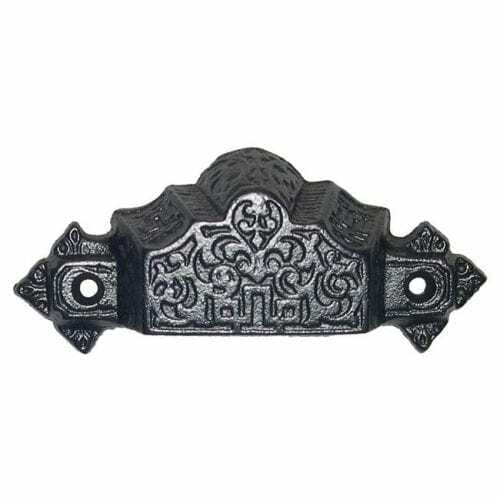 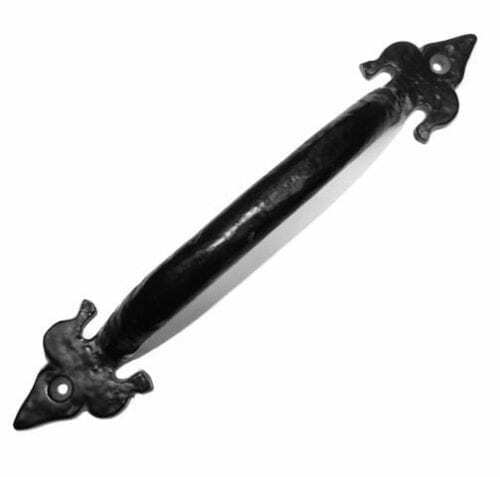 View cart “Iron Parliament Hinge with Three Inch Offset” has been added to your cart. 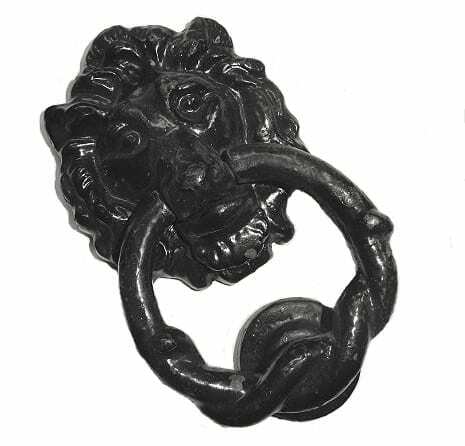 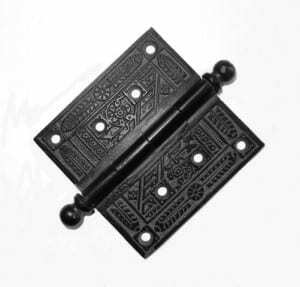 Embossed Ball Top Iron Hinges 4″ x 4″ are sold in pairs of two (one hinge shown in images). These are made of cast iron and painted semi-gloss black. 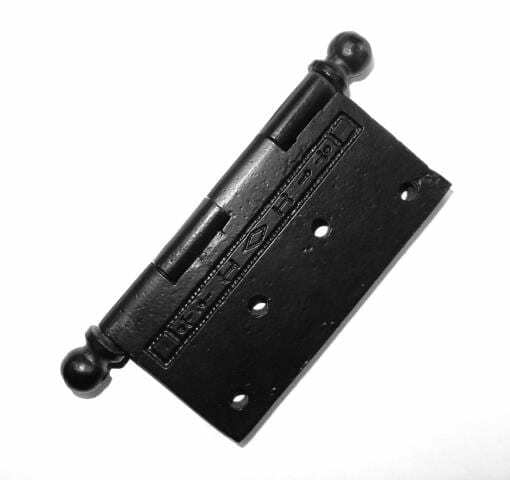 The pin is removable for ease of hanging. 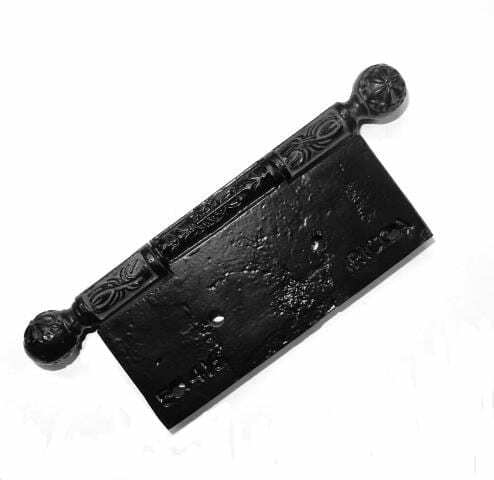 There is embossing on the face of the hinge and the reveal on the side of the hinge. 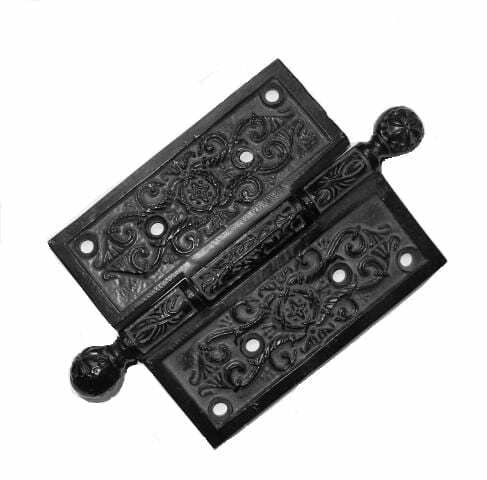 The pattern of the embossing is in a linear Eastlake Victorian style.